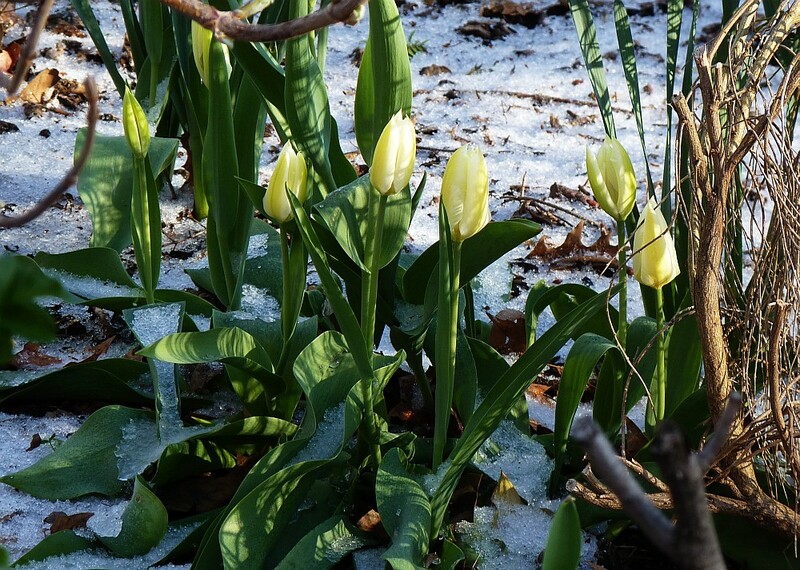 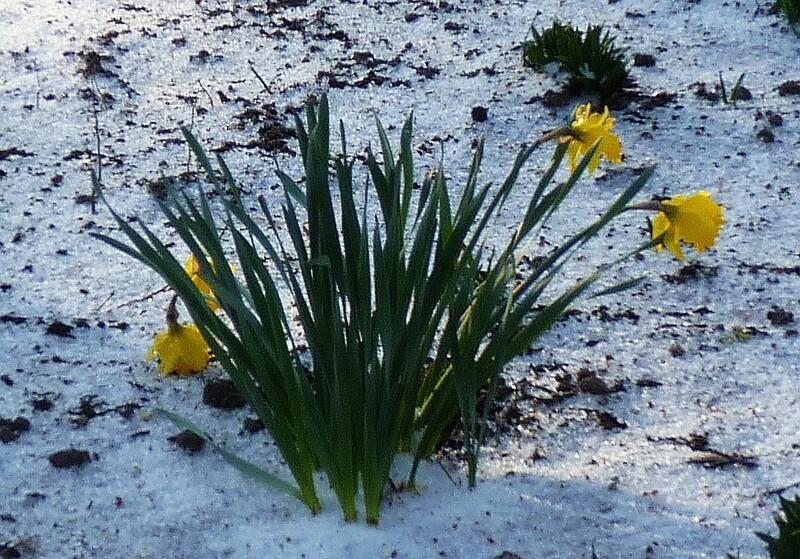 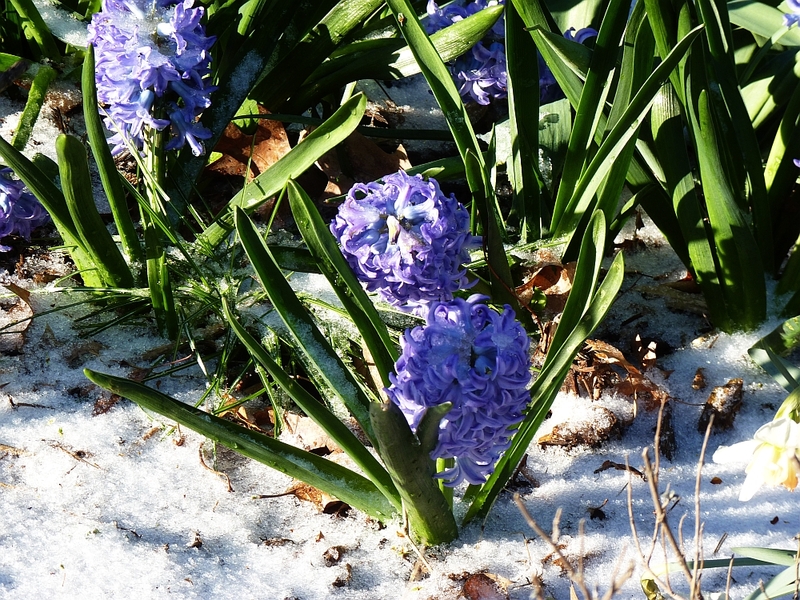 These Hyacinth blossoms in Tompkins Square Park got a shock last night with this early Spring snow. 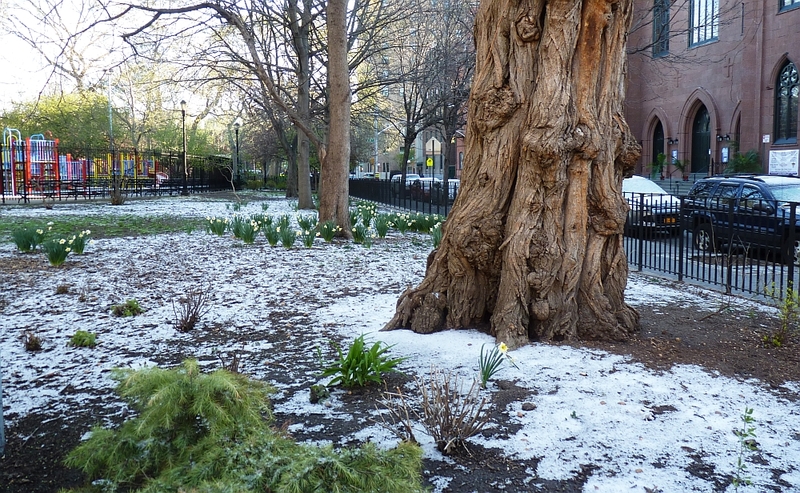 The amazing gnarled Black Locust tree at the Southeast corner of the park, daffodils in the background. 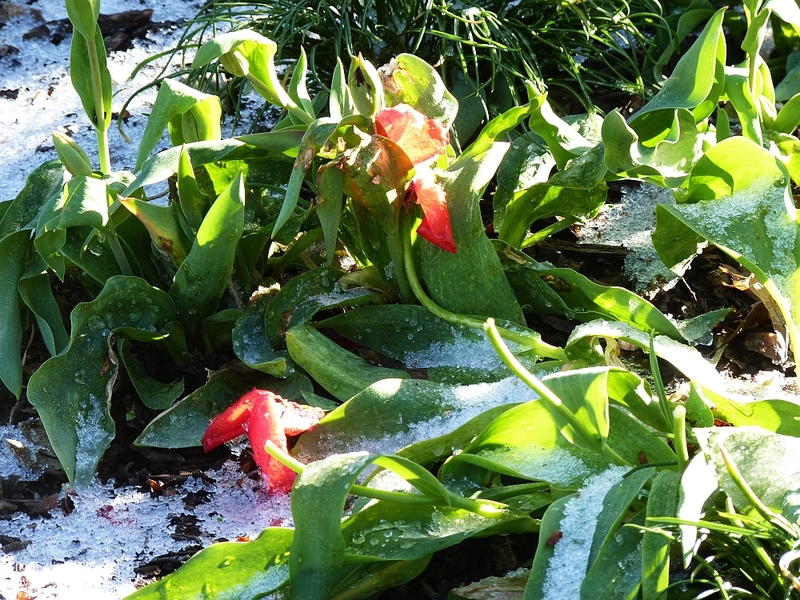 These Tulips didn’t fare so well. 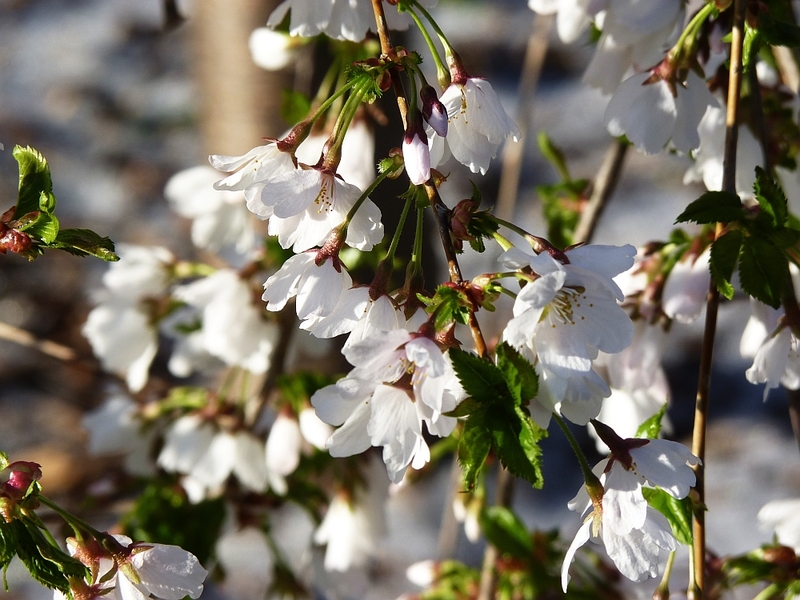 This Weeping Cherry tree in the Sandra Turner Garden just blossomed.